Substantial benefits are available from the development and adoption of interoperable standards for BIM. These benefits are only fully available if standards are open and international and go far beyond traditional design and construction phases to a built environment fully enabled as a digital economy. Significant improvements in cost, value and environmental performance can be achieved through the use of open, sharable asset information in the creation and operation of our civil infrastructure and buildings worldwide. Open, sharable asset information will help the supply chain unlock more efficient and collaborative ways of work throughout the entire project and asset life-cycle. 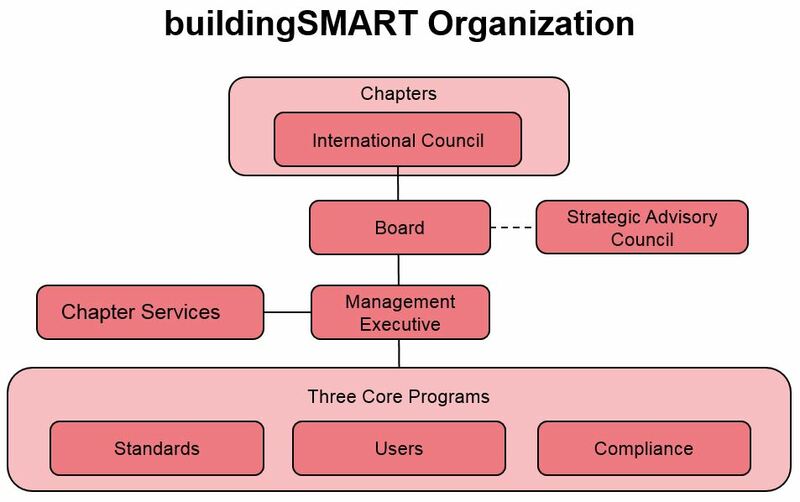 The buildingSMART community as it is today represents a solid starting point in that its values, goals, achievements and international network are significant, providing a unique and credible platform on which to build. However the current arrangements do not attract the necessary degree of support. Therefore global standards development activity is currently fragmenting as demand increases. 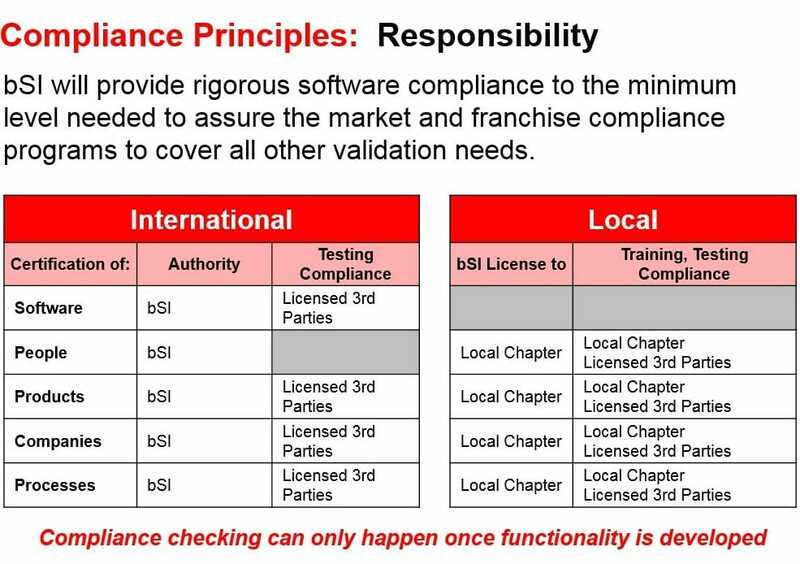 We believe buildingSMART is uniquely placed to define open international standards and compliance programs. Success will be measured by buildingSMART’s ability to emulate the status and successful operation of organizations such as the World Wide Web and Open Geospatial Consortia. The three core programs will be organized for success and guided strategically by users through the Strategic Advisory Council, with work programs proposed and co-developed by our membership. Participants will have clarity and confidence in how projects are and expected outcomes. A formal compliance governance framework will be established to ensure minimum standards are guaranteed allowing confidence and trust to become associated with the brand. Over time such a quality label has the potential establish real value for bSI and chapters. 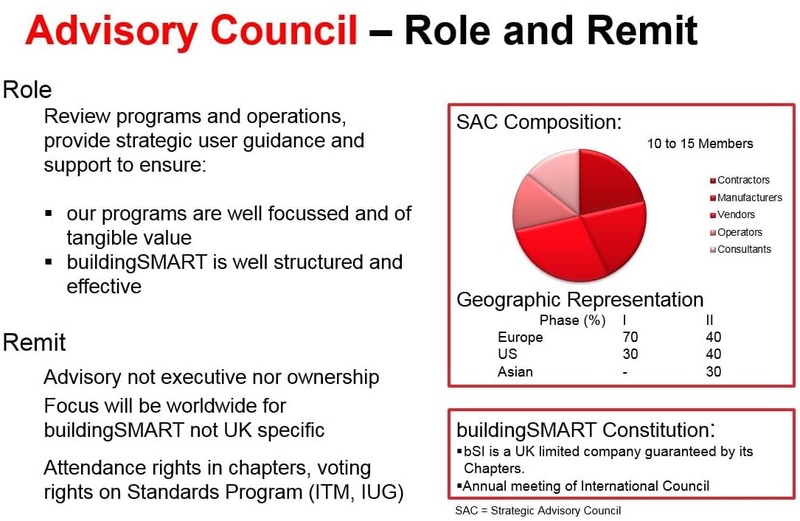 We intend to establish a Strategic Advisory Council populated by a broad range of senior international built environment industry participants from around the world. This will secure strong user engagement in our strategy and help us to initiate strategic standards development activity. This group will also help support permanent buildingSMART overheads. 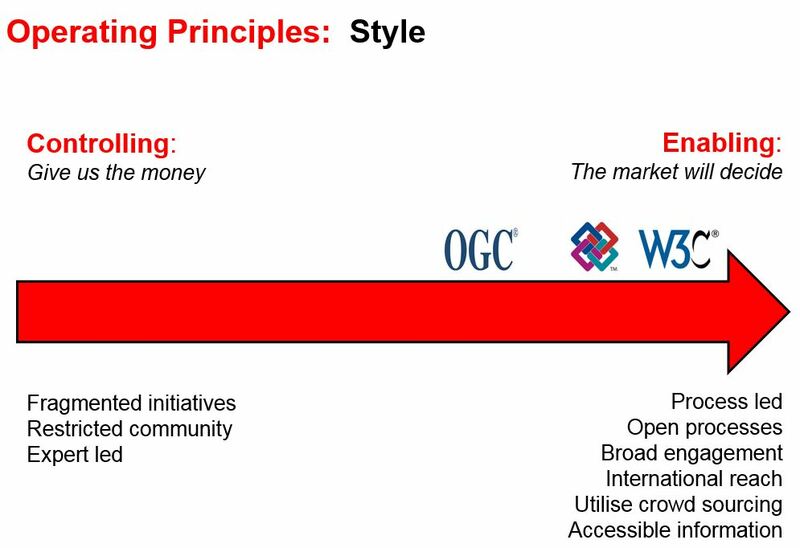 The overall strategy is to drive an engagement strategy which attracts a broad technical and user community and provides a neutral and open forum, and a clear and rigorous process for standards development activities. The overriding strategic assumption is that given the right governance environment this community will be able to self-determine the appropriate technologies and standards. In essence to ‘let the market decide’. This mimics the philosophy adopted by W3C and pragmatically reflects the sheer scale of the task that is required. The overall task is effectively to create a whole new language of standards and standardised processes to enable the built environment industry, from conception to life time ownership and actual use, to operate and fully engage in a digital economy. 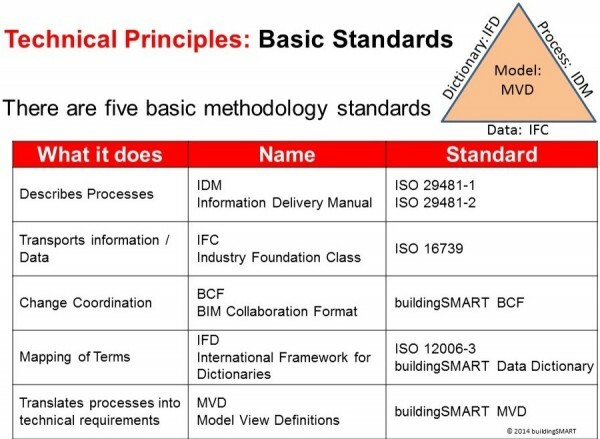 The IFC family of standards is considered the starting point particularly in respect of that set of data that is related to geometry in one way or another. 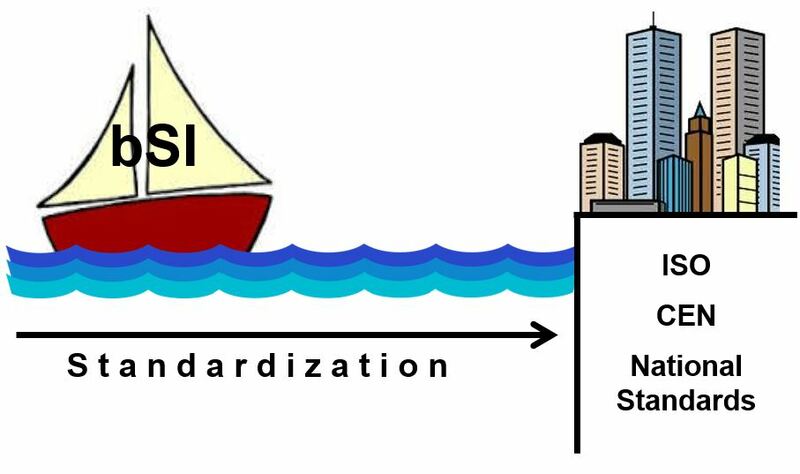 At the same time it is recognized that geospatial standards are important in the built environment and that the semantic web will have a great impact of exchange mechanisms. We anticipate the need to clear interface arrangement with these and other proximate standards to deliver users’ needs in the future. Our standards will also need to be informed by a realistic understanding of the real life business environments and commercial processes which they need to assist. 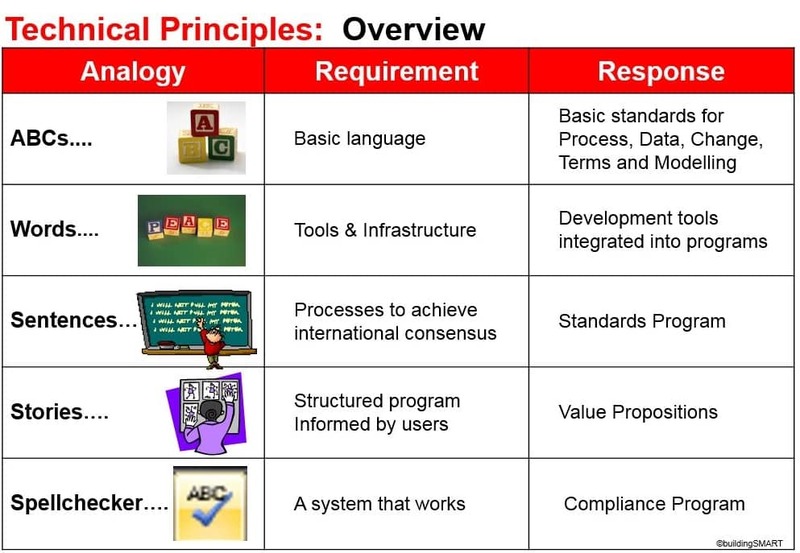 BuildingSMART proposes that the business of creating this new language of standards will need to be structured and broken down in two ways; from a technical sense stages will be determined by technical basis for information exchange and from a user perspective in response to different needs and perceived value add for different user groups. These concepts inform the programs and organisation proposed in our Transformation plans. 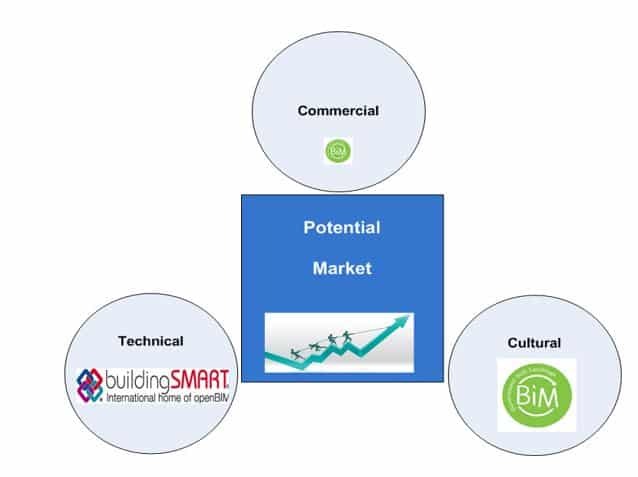 BuildingSMART needs to engage with industry today and address issues pertinent to the challenges faced by industry participants as they struggle to advance the use of BIM today as well as setting out a path and developing standards for more sophisticated implementation of the objectives of interoperable open BIM standards. Without such engagement BuildingSMART will not be seen as relevant and will not attract the support we require. 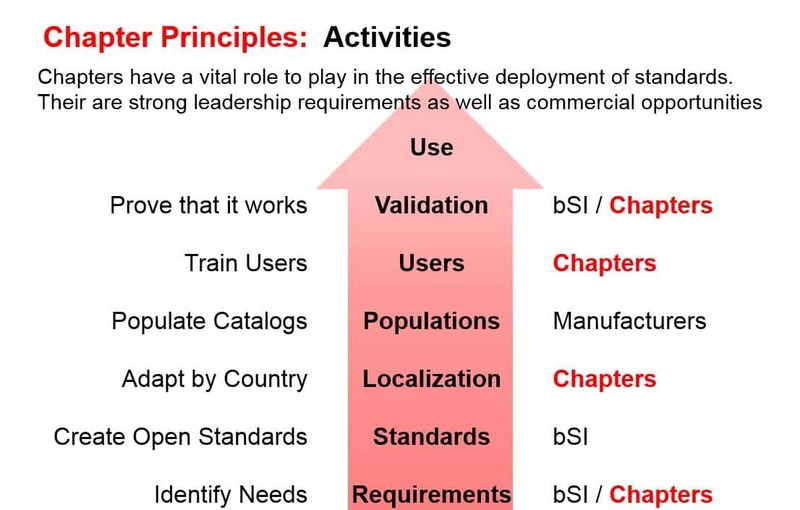 The mutual dependence and opportunity between bSI and chapters is explicitly recognised. A chapter development program will be put in place to enhance the relationships across the entire buildingSMART community. A strong two way program is envisaged. Chapters will have a big role to play locally in their own geographies in responding to and setting up programs relevant to their in country needs. They also need to identify and engage in feeding standards requirements into the Standards program. It is worth reiterating that the full benefits of open BIM will not be achieved from a nation by nation approach to standards.